followed by the Hickman one in comics a week later. Jonathan Hickman is of course a great writer whose stuff I have often enjoyed. He did a great deal of stuff for Marvel Comics before leaving to return to indie-stuff where he got his start. 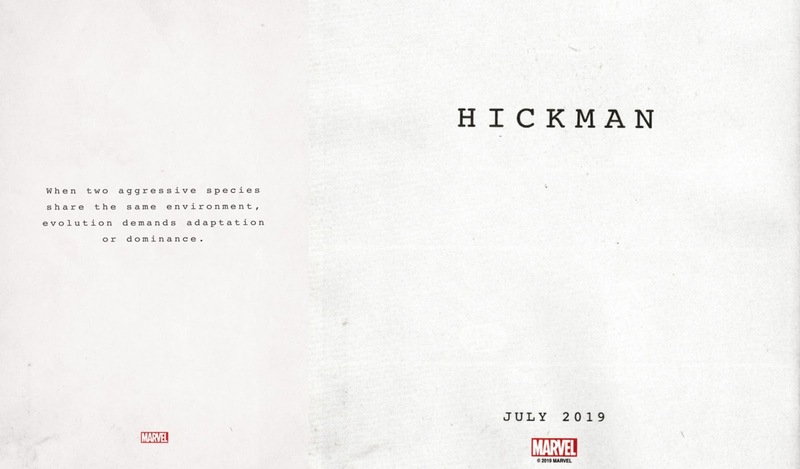 Marvel has been hinting at a new comic series and now has confirmed that Hickman will be writing it (probably something related to the Eternals or X-Men, seems to be the general consensus). I have an assortment of smaller thoughts on this, but one main one. Namely how this better not delay, "The Black Monday Murders," even further or I'm going to be mad. "The Black Monday Murders," was a series published by Image that started in August of 2016 and which I loved between Hickman's writing and Tomm Coker's artwork. However, it began to experience bigger and bigger delays up to the point issue #7 came out at the end of September 2017, #8 finally saw the light of day in February of 2018, and issue #9 is due in April of this year last time I checked. 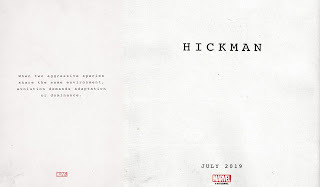 Yeah, as with many of Hickman's works, it has seen some delays (still not as severe as with his and Dustin Weaver's, "S.H.I.E.L.D." series though). The series is supposed to wrap with issue #12 resulting in three nice volumes divided into four issues each. I pray that Hickman finds a way to both do some cool work for Marvel and still finish, "The Black Monday Murders," in addition to any other projects he's done that seem tremendously delayed. Here's hoping, right?